This is a lovely looking example of these much sought-after boats - admired greatly for the quality of build and design. 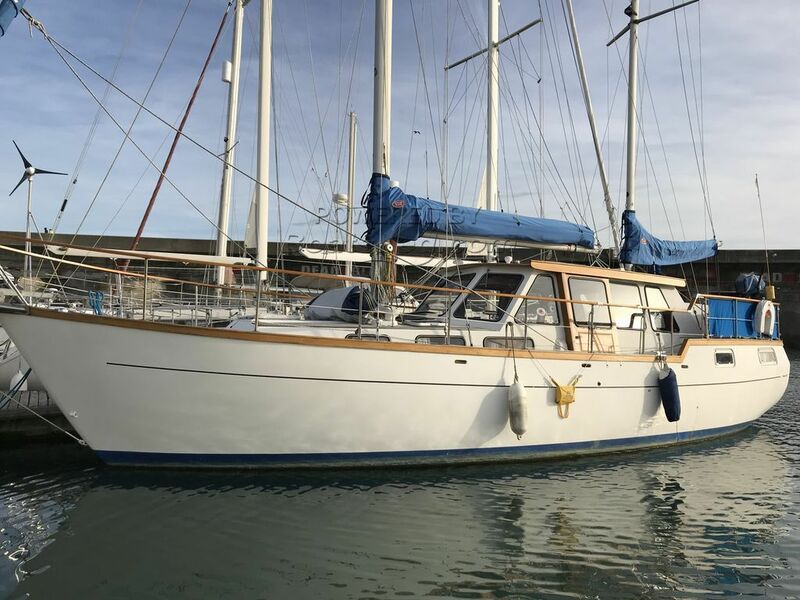 She looks great and feels great - her upper deck seems in great condition, with plenty of room, a secondary steering position and a roomy, sheltered seating area at the stern, bolstered by a fantastic wheelhouse, with plenty of room for shelter and socialising. She offers light and roomy accommodation throughout - a fabulous aft cabin, a linear galley with plenty of seating and a roomy fore cabin - all bearing the hallmarks expected of this quality boat manfacturer. She has had a phenomenal amount of money spent of upgrades and improvements recently, which really add to comfort, safety and usability. If you're after a solid, roomy, looked-after boat in which to spend weekends or longer trips, then we really do recommend a look at this boat in person. This Nauticat 38 Aft Cabin has been personally photographed and viewed by Tim Kingston of Boatshed Brighton. Click here for contact details.